I planted 228 soil-blocks yesterday. I started my indoor-seeds, and 228 did not seem like enough. But it was a good start. 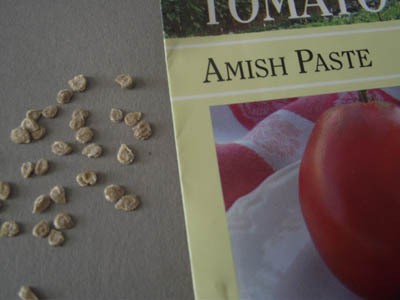 I actually “planted” my first seeds in the refrigerator. 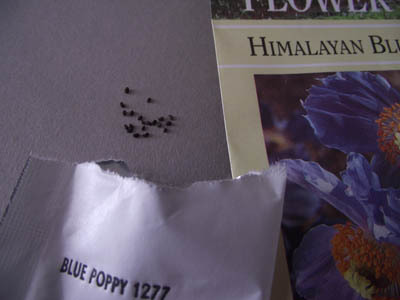 My eldest daughter was captivated by the photo of Himalayan Blue Poppies, and so I bought a packet for her. Apparently you need to trick the seeds into thinking they’re in the Himalayas, and so you start the cultivation process by chilling them for three weeks. Into a baggie, and into the bottom-most bin in the refrigerator they went! It was a cold, sunny, windy day. I made the soil-block mixture in the wheelbarrow: top soil, a bucket of compost, and greensand, cottonseed meal and “super phosphate.” I set the trays on the picnic table, planting outside what was about to come INside. The wind made some seeds particularly difficult to sow (think zinnias), but that’s why we have quiet Sundays — to calmly work through difficulties. It was such a pleasant way to spend an afternoon. Tiny little black balls that stayed obligingly in my hand. 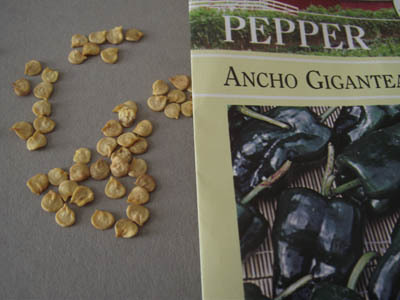 The first of three types of peppers this year, and I love the warm yellow of the flat seeds. Sweet red peppers for my sweet daughters. 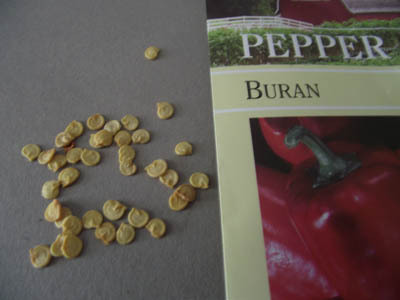 And the last, a yellow pepper said to be suitable for stuffing. I will report back to you on this claim. One bed will be entirely devoted to these paste tomatoes. And the slicing tomatoes will share their bed with the rhubarb. 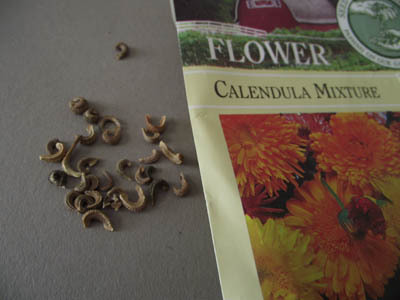 The sole photographic representative of the flower seeds I planted this year. I also planted these flower seeds: Lemon Gem marigolds, Queen Sophia marigolds, Wee Willie dianthus, Black Bowles violas, pink and black hollyhocks from Friend Cass in Colorado, and Candycane zinnias. I also planted the following herbs: borage, spearmint, hyssop, thyme, lemon balm, basil, and parsley. Next weekend I will plant my peas, spinach, and lettuce. Photos and commentary to come. I am so excited to see this post… this means it really IS going to be spring. It really IS going to get warm! I’m so tired of being cold! It’s not spring ’til May — remember that and you won’t go crazy! 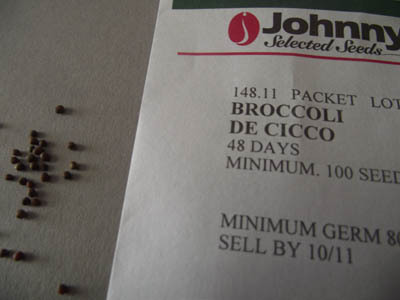 (like I did the first 10 years I lived in NY) Now I just keep myself under control by starting seeds indoors. I stay inside, where it is warm! !, and wait for the first seedling to arch its way up through the soil. A very satisfying ending to a LONG winter! 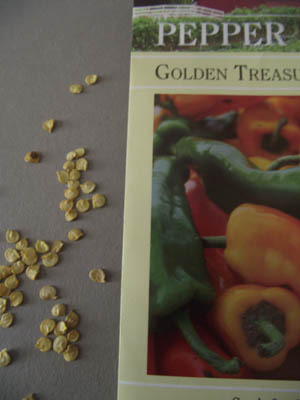 Sowing seeds is so relaxing. Well, except for those teeeeeeny seeds that come out like dust. I hate those! Happy Spring to you, too! 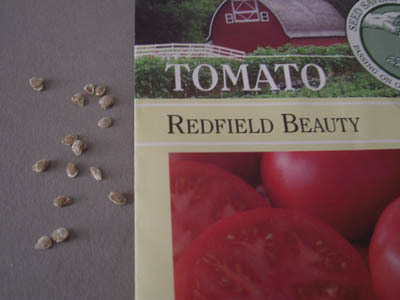 Teeeeeny seeds were made for “pelleting”. Have you heard of that? 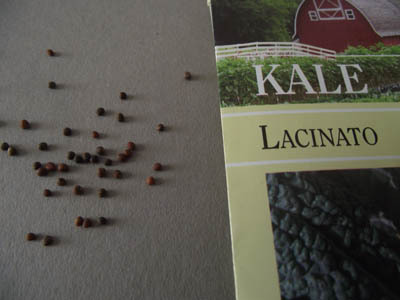 Small seeds like carrot or lettuce seeds (especially!) are so much easier to handle this way. The seed is coated in a mixture of mostly clay and a bit of fertilizer. It is much easier to handle because you can feel it and see it! After it’s planted, water melts the clay away, and seed is ready to germinate. I think it’s ingenious, and have some pelleted seed this year. I’ll photograph it and post it for you.